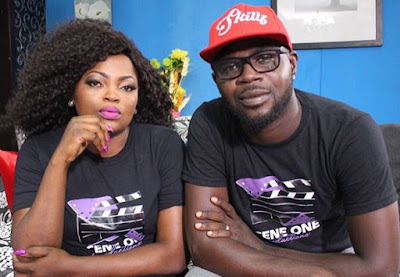 Nollywood actress, Funke Akindele-Bello who has been in the news for various reasons recently, such as her miscarriage, alleged crash marriage to her husband, JJC and also going on lowcut. 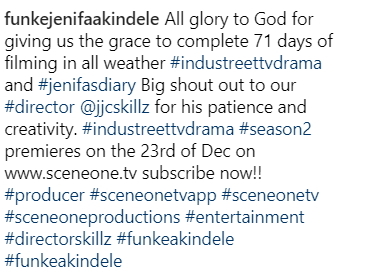 The superstar Jenifa took to her IG page to reveal, she just finished filming the season 2 of her Tv series titled "Industreet". She took time out to praise her husband, JJC who was the director of the Tv series and used the medium to shut off divorce rumor.